Tired of the same old fundraising options for your nonprofit or just looking for an additional fundraising solution? Meet Swype! 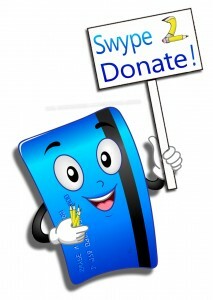 Swype will continue to generate donations for you year after year and the amount of the annual donation is only limited by the number of businesses participating. Contact us today and we will provide fliers and work with you to get the word out to businesses in your local community or target area. Many people who want to help own or work for a business that accepts credit and debit cards. By encouraging those businesses to process with EFTS, we do all the work of getting them signed up and enrolled in the program and your nonprofit gets 20% of the gross profits their account generates for EFTS. 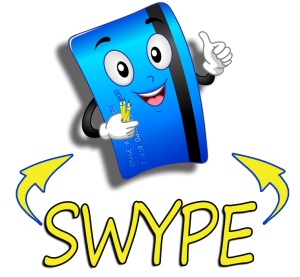 We guarantee we will meet and more often beat the current rates and fees the business is paying for accepting cards and always provide world class customer support and service. As long as the business is processing with us your nonprofit will continue to receive a donation annually. Adding businesses increases transaction volume which grows the donation. It’s that simple, our Swype 2 Donate sticker on the door lets customers, clients and patients know that the business is supporting a local nonprofit and exposure through your marketing and our website and periodic postcarding to the area reinforces it, which helps to grow their business in return. Call or send us your contact information to get started today. “Success is one thing you can’t pay for.